Beautiful home in Briar Hills! Tile and slate flooring throughout – no carpet! 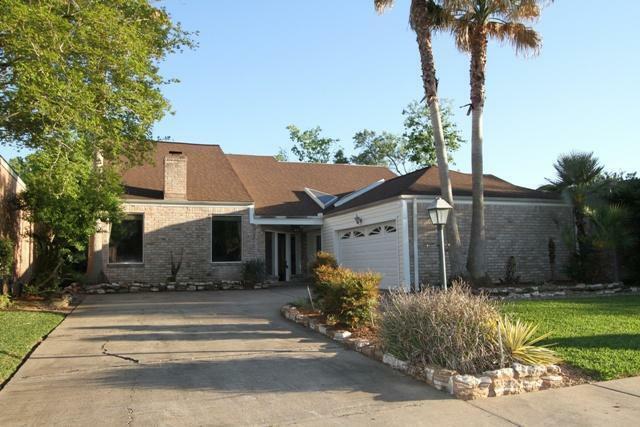 Huge family room with soaring ceilings and surround sound, opens to study/workplace. Island kitchen with granite countertops leads to dining area with soothing waterfalls – perfect for entertaining. All bedrooms plus bonus family room downstairs plus a gameroom upstairs. Retreat to your lush oasis like backyard soothing waterfalls and disappearing fountain plus outdoor speakers. Steps from Terry Hershey, Briar Hills pools and tennis courts.